The series will return on November 28th with File 1022. 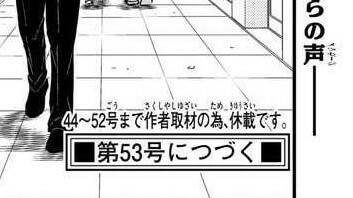 Issue 43 of Weekly Shonen Sunday, the publication that the Detective Conan manga is serialized in, has leaked in part a few days early. Included in the leak is the final page of Detective Conan File 1021. A caption on this page reveals a new hiatus. 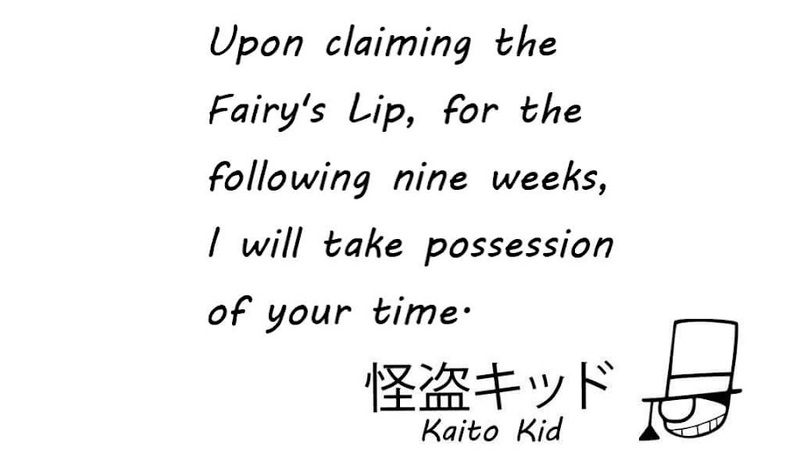 The final chapter of the “Kaitou Kid and the Fairy's Lip” case will announce that the manga series will be taking a break starting in Issue 44 continuing through Issue 52. Following these nine weeks off, File 1022 will begin a new case in Issue 53, scheduled for release on November 28th. This is the third extended hiatus for 2018. This year began with a four-month break from mid-December through mid-April. After returning for a couple of cases, another gap ran for seven weeks through most of July and August. The series had been running a case for four continuous weeks going into this new hiatus. In short, there have been three complete cases so far this year. The first and longest lasting break this year was due to Aoyama's health, in so many words. No such reason has been given for the two since then, but considering their length and how close they are, things may not be looking good.